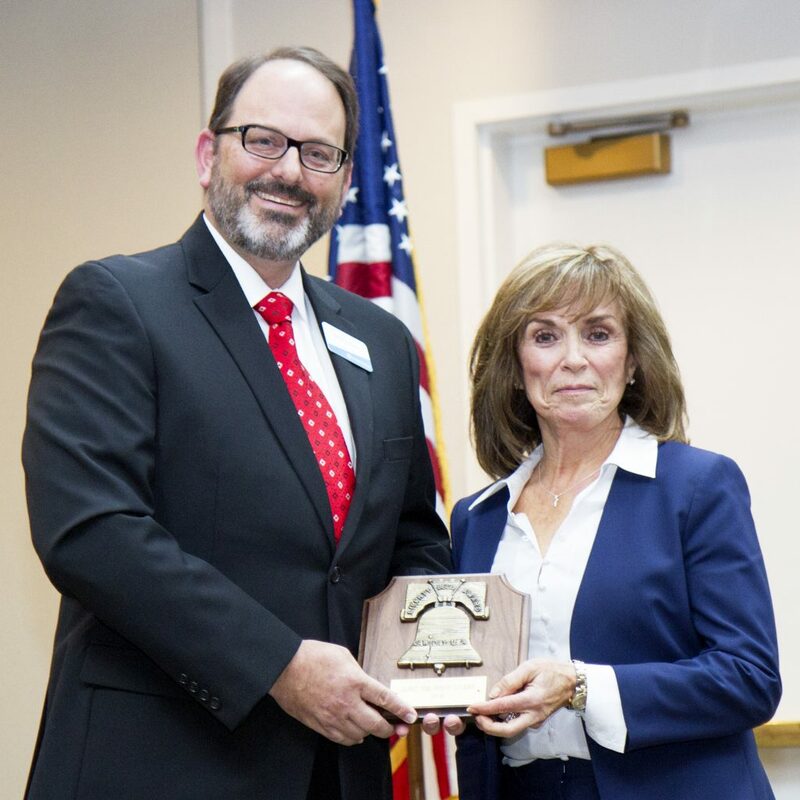 The Attorneys of the Escambia-Santa Rosa Bar Association gathered on April 27 to celebrate the 55th presentation of the Liberty Bell Award. The focus encouraged attendees to take note of the origins of the award, and the ongoing need for its celebration. The first presentation, in 1963, came as Americans faced concerns relating to the Cold War. During that time, American values were challenged. The Liberty Bell Award was intended to stir recollection, and appreciation for the United States Constitution, and the meaning which its authors placed upon the law, the courts, and the elements of government, at all levels. The selection of Liberty Bell honorees comes year after year through in depth search within the community by a select committee, always seeking to recognize actions by an individual (and, in three cases, by a husband and wife) to stimulate public appreciation of the community’s core values. Acknowledgment of a the need for ongoing education to perpetuate understanding of the fundamental American values, thus for more than a decade, they have provided youth scholarships for literally hundreds of students, to settings, such as the Freedom Foundation Center, that have long proven appropriate and beneficial to enhancing better citizens..
Quint and Rishy Studer tapped into the local concern in Pensacola over the need to address areas of poverty. To combat this, they acquired downtown properties needing improvement, made those improvements and modernizations, and then made the faculties available to new, small, locally owned businesses. New businesses have begun, more jobs were created. In a similar mode, Quint and Rishy Studer made it possible for the long respected Waterfront Rescue Mission to relocate and to build new facilities to better serve its client base. The Studers also partnered with the University of Chicago, to elevate the education potential of newborns many of whom unfortunately come from generational poverty. Their Early Brain Development program is moving the needle on addressing this critical educational deficiency in our community. To help the citizenry, they also implemented an institute in partnership with the Pensacola News Journal, a project called CivicCon, which is bringing authorities to the area to help the community understand some of the points of focus used by other successful communities in bettering neighborhoods, and the local built environment. Attendance at those events has been outstanding and and the language of Civic Engagement is already starting to be used by our citizens. Regarding the built environment … a view of several major honoree projects which already are helping meet the goals of the Liberty Bell, and which have received public note; .. establishment of the Community Maritime Park which, with professional baseball, has opened the door to almost weekly events which are providing entertainment, bringing people back to downtown businesses, and adding jobs. Then, the honorees pledged millions of dollars as their role in creating a new generation for our beloved YMCA. In the few months after opening in its new location, the Y’s membership more than tripled in size. 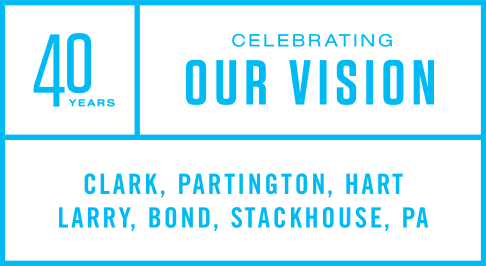 To help meet the desired goal of increasing downtown residential opportunities, our honorees are building over 250 new quality apartments, some of which are already occupied. And next to the apartments and Y is one of the finest new office building in the region and one that I and my partners and our employees are especially proud to commend to your attention. And the list goes on. However, this summary concludes by noting that through all of these items has been the thread of increasing education, attacks on the problems of poverty and literacy needs, and large steps toward meeting the goals of building better communities, which are the basis of the Liberty Bell Award. This couple has contributed much and their examples already are guiding others along a similar path. The award’s qualifying document calls for contributions in personal service, which has been so evident in the lives of this special couple.